What Happened to The Riders to Watch for 2016? At the start of the year 10 riders were picked to see how they’d get on, not necessarily because they were going to come, see and conquer 2016 but because there were interesting stories around them. How did they get on? 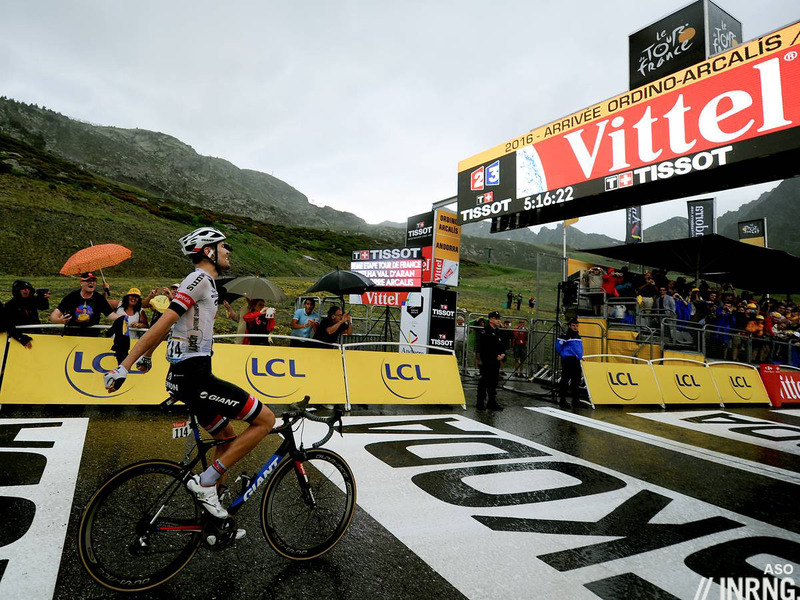 Tom Dumoulin finished 2015 as one of the hottest prospects in the sport having confirmed his ability as a time trial specialist and then parleyed this into a grand tour contender status at the Vuelta. Could he keep up this momentum? No because he changed goals with the Rio Olympics in mind. 2016 was a very solid year but just lacked some flair needed to keep his name up there with the other stage race stars as he heads in 2017 and genuine stage race bids. The time trial was the big goal but, unlike several others who aimed for this too, he scored big before. He was beaten in the Paris-Nice prologue and then in Romandie too but came good in the Giro’s opening stage to take the maglia rosa in front of a home crowd. Was he going to win the Giro outright? “No” insisted the rider and his entourage but the question remained until finally pulled out of the race as if the Vuelta ride was branded into some people’s minds. The Tour de France saw him take two stage wins, first the mountain stage to Andorra and second the Ardèche gorge time trial where he was a minute clear of everyone else. The Rio time trial began to look like a formality. Then an innocuous fall on a flat section of a mountain stage saw him crack his wrist. 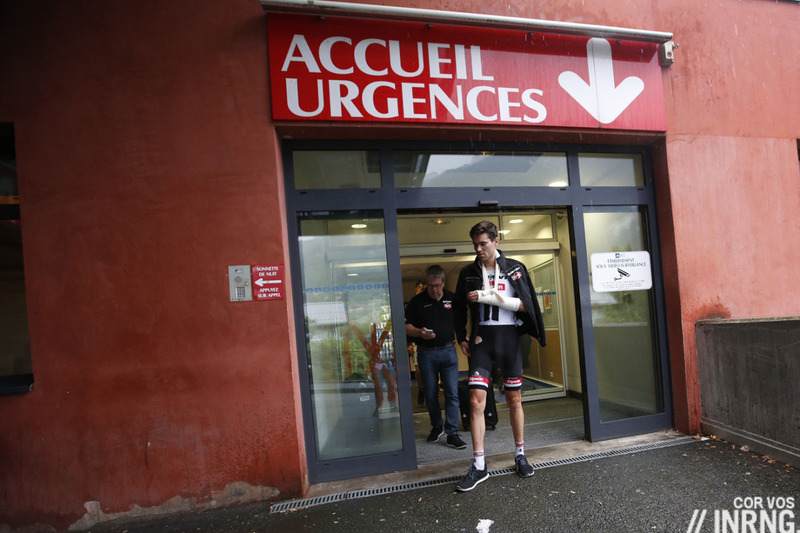 He was out of the Tour and now worried about the Rio Olympics just three weeks away; the state of his wrist became a news item and he still salvaged a silver medal. 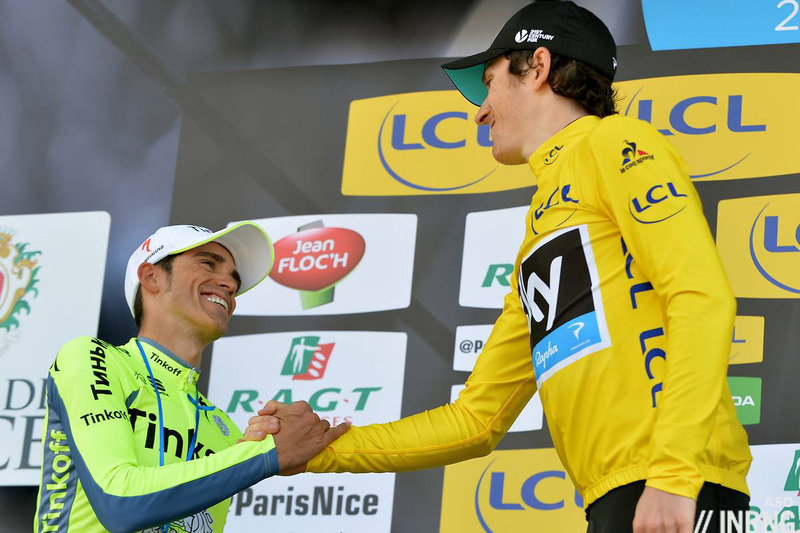 Geraint Thomas sharpened his focus on stage racing at the expense of the spring classics and it seemed to pay off with a win in Paris-Nice, his win enhanced after a big battle with Alberto Contador on the final day. But that was it for the year in terms of personal glory. He still rode the Tour of Flanders and finished a creditable 12th. Does he have to choose between stage races and classics? Perhaps if he wants a podium finish in the Tour but combining Paris-Nice and Paris-Roubaix is still feasible. Once again in July he became an invaluable helper to Chris Froome but said watching his weight too much had become detrimental to his form. Sep Vanmarcke started the year with the “nearly man” label and finished with it too: second in Gent-Wevelgem, third in the Tour of Flanders and fourth in Paris-Roubaix. So close but stepping up the podium is proving hard. 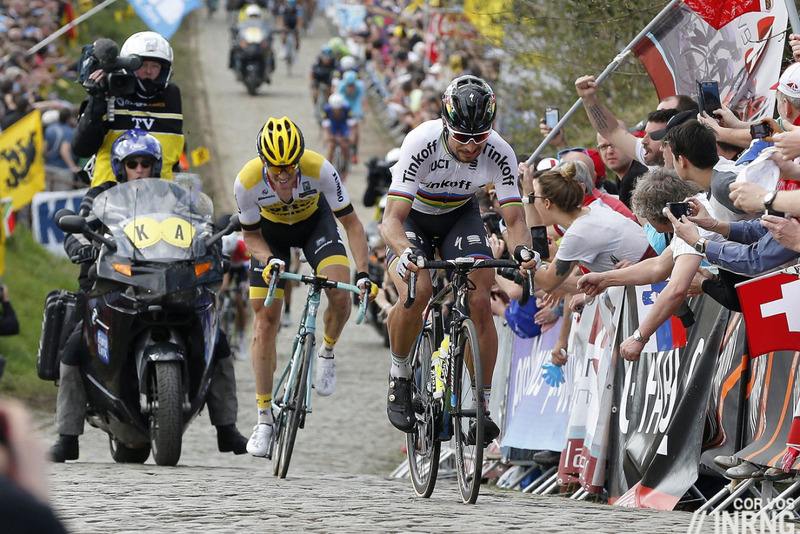 He’s visibly strong in the finish of a cobbled race but perhaps this is part of the problem? He burns matches like a bored boy scout sometimes when he could be saving something for the finishing straight. Another way to improve would be joining a bigger team but he’s signed with Cannondale for 2017 where he can at least be certain of full support. By the law of averages he’s due a big win soon. Ilnur Zakarin had a successful 2016 season that confirms he’s no “meteor”, a rider who briefly rises and sinks without trace. The Stork of Tatarstan took a stage win at the Madonne d’Utelle in Paris-Nice after making the cut on the summit finish and then was the only rider who could follow Nairo Quintana in the Tour de Romandie and they tussled for the stage win. He rode the Giro and was rising up the rankings during the third week to sit fifth overall before a horror crash saw him out of the race before the final weekend. 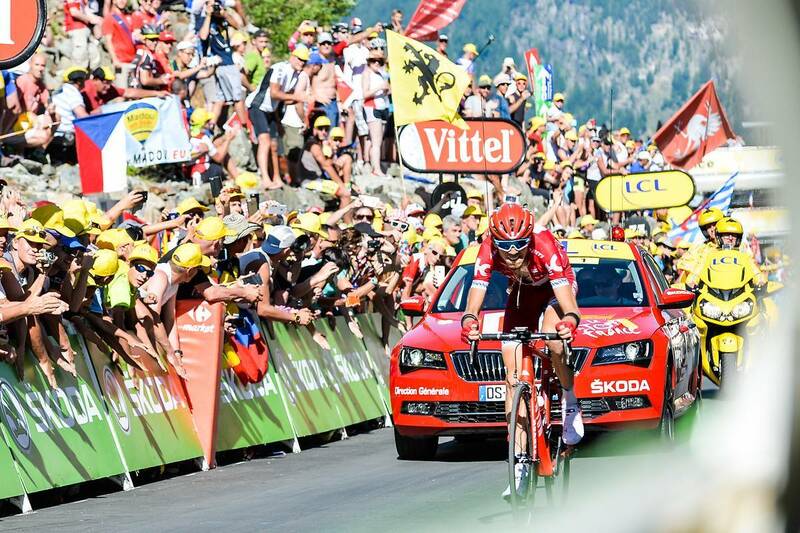 Despite broken bones he was back for the Tour de France, saved himself for stage hunting and duly took a win after cracking Rafał Majka and Jarlinson Pantano on the steep climb to the the Emosson dam in Switzerland. There’d been talk that Katusha was going to stop but he’s been a factor behind the desire to keep the show on the road. Mikel Landa was going to win the Giro, right? There was the arithmetic of a podium finish in 2015 plus a talent on the up added to a move to Sky and many thought it’d add up to the win this time. Only this blog was a bit more cautious, warning his abilities in a time trial were a real issue and that has yet to be fixed, his best performance in a TT stage was 20th in the Giro’s Chianti stage, although on an odd day weather-wise. Still he abandoned the race sick and came back to help Chris Froome again. He’s still a contender for the 2017 Giro again but Sky will want some reassurance in the time trials before. Julian Alaphilippe‘s challenge was to convert those second places into wins. He started the season with a first… he contracted mononucleosis over the winter and for the first time in his career he had to sit out some early target races. Once he resumed he had a promising season but struggled to convert this into wins. He did take the Tour of California, a big win but out of a small field. He started the Tour de France and impressed many with his riding but not legendary team manager Cyrille Guimard who used his punditry pulpit to preach that Alaphilippe was racing badly, expending too much energy for no return. It was harsh but you could see where Guimard was coming from. Alaphilippe came close in the Olympics until crashing out and salvaging fourth place. 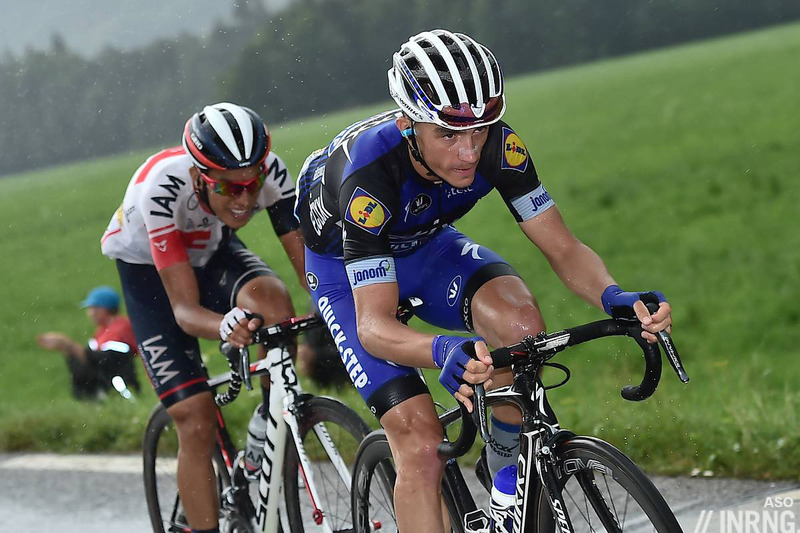 Are Philippe Gilbert‘s best days behind him? He turned 34 this year and took four wins this year but none in the World Tour and found his boots at BMC confidently filled by Greg Van Avermaet. 2017 will be an interesting one as he’s moved to Quick Step and wants to target the Tour of Flanders, an objective where he won’t be stepping on the toes of new team mates Alaphilippe and Dan Martin. De Ronde is missing from his packed palmarès and a way to seal the deal with the Belgian public because he’s never been as popular as Tom Boonen; the Flemish/Walloon split has been part of this but winning De Ronde would be a good way to resolve this. Thomas Voeckler was supposed to start his final season and the question was whether he could still sniff out a breakaway and outfox his rivals for the win. Yes was the emphatic answer in the Tour of Yorkshire where he won the final stage and served up what the French call a bowl of “grimace soup” to Team Sky’s Nicolas Roche. Here was the plucky Pro Conti team beating the Sky millionaires on their home soil. 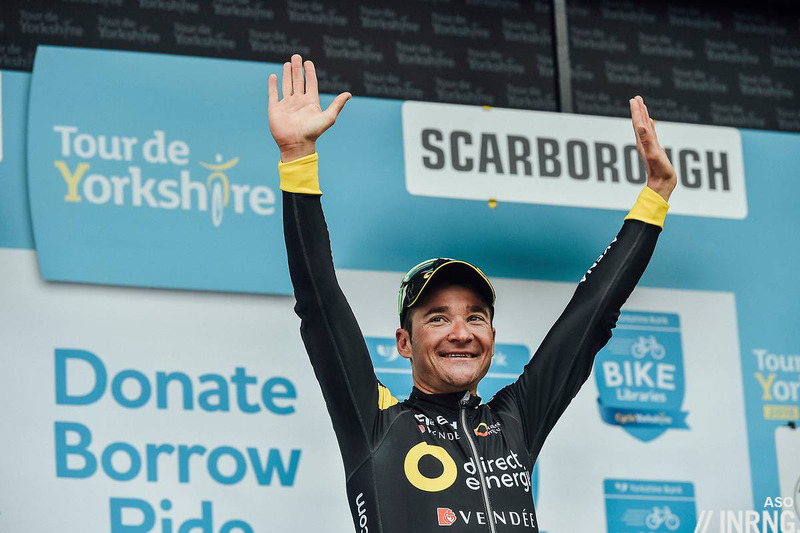 Voeckler cut a more discreet figure for the rest of the year and if he used to be one of the (gurning) faces of French cycling that baton’s been passed to the likes of Bardet, Pinot, Bouhanni, Démare et al. He’s riding on into 2017 and plans to retire after the Tour de France. That sharp eye for a breakaway is likely to earn him a job in the team car, a media booth and quite possibly the new French national selector. Or even all three. Marcel Kittel was back to winning ways after a switch to Quick Step when he stated the Dubai Tour with two stages and the overall win. It’s forgotten now but he was MIA in 2015. His peak power came in May when he seemed unbeatable in the Giro’s opening stages only to struggle after the hilly stages once the race reached Italy. He rode the Tour and seemed less imposing and his team less coherent around him. He won a stage in Limoges, a big wide road but up a long and significant slope but was beaten again and again by Mark Cavendish on the flat finishes. Later on in the season he was a key part of Quick Step’s team time trial squad. It makes him hard to label, a dragstrip sprinter in the Giro but more versatile at other times. He’s still a bankable star and after a blank season in 2015 he’s back as part of sprinting’s royalty but is not the king. Perhaps it’s best there’s no dominant sprinter, we can look forward to varied sprint finishes rather than a coronation ceremony. Those were the ten for 2016 but it’s always restrictive. Another 10 names were cited: Fabio Aru had a bad year and missed all his targets and his downhill stage win in the Dauphiné was proof of his struggles as he couldn’t compete on the climbs; Richie Porte was a highly consistent and valuable rider but a rare winner and undone by a moment’s inattention at the Tour de France from his team and 2017 looks like more of the same as he aims for the Tour de France podium; Esteban Chaves had a great season and now has to go better in 2017; Michael Matthews took some quality wins as usual but the quantity was down; Rui Costa is often close but still struggles to land wins; Warren Barguil was caught in that training crash but recovered; Arnaud Démare won Sanremo but not much else; Michał Kwiatkowski took the E3 and went missing; Tom Boonen and Fabian Cancellara didn’t reignite their rivalry but both had seasons to savour. What happened to the neo-pros? In a sport synonymous with curses of various kinds, has a new one been added to legend – The Curse of The Inner Ring? I can’t help thinking that Geraint Thomas has made the wrong choice. Of his many talents it seems to me that getting on a GT podium is the least likely yet, strangely, this is the one he seems to want most. He has already proven he can win classics and if he genuinely focused on these he could quite feasibly bag a monument. He’s already been top 10 in Flanders and Roubaix. I can’t help thinking he’s passing over this to chase lesser things. Agree RonDe, he is not a “3 weeker” rider and unfortunately might spend the best of his years proving it. Jokes aside, the route from specialist to GT contender is a most interesting one to consider. Can the GT contender be manufactured or are they born? Is one born with an inherent lung capacity or can a climber be trained? Thinking of the TT specialists, the path seems quite clear-cut – watts / kg and retaining a considerable part of the TT strength. The metamorphosis from Monuments rider to GT contender seems more complicated and Thomas’ unsuccessful example last season looks to bear this out; it seems not just a matter of weight loss. Does Valverde’s weight alter radically throughout his long season. It doesn’t appear to, yet he invariably is able to translate form from one dayer to three week stage race. Alaphilippe looks to be from a similar mould. Perhaps Thomas should follow these examples? Or is that too simplistic? Alaphilippe is so hugely talented he looks to be the natural successor to the Valverde kingdom of durability and flexibility. It would be a tremendous thing if he were able to succeed in both forms of racing. It will be fascinating to watch whether he can succeed to cycling royalty or consigned to be another Young Pretender? I have little doubt that Thomas is better suited to one week races and the classics – all his performances would indicate this. His best TdF performance was undermined by one of three week stage races trip ups, ‘bad days’. The strength of podium three week riders is that they don’t have ‘a bad day’, well not so bad that the top three is out of reach. It is a really strange and disappointing switch for a proven single day rider. Thomas appears unfortunately to have the problem of being an exceptionally good rider, who performs at this high level at all disciplines. However he fails to have a single outstanding attribute that could make him a regular winner. +1 One-day rider on a stage race team, same as it ever was. As the wings start to come off the SKY team with the constant drip of dodgy practices, will they continue to waste this guy’s obvious talents? He obviously doesn’t know/care about the history enough to go for one day races. ‘Only the Tour matters’. Anonymous – is that aimed at Geraint Thomas? Who won the Junior Paris-Roubaix in 2004? Who was the team leader for the 2014 Ronde (and came 8th)? Who won E3-harelbeke in 2015? I also think he’s made the wrong choice, but can’t say I’d make the “right” choice if I was that talented and had so many options. None of that tells us how he feels. Nor does it explain why he has chosen to focus on stage racing when he is demonstrably a better one-day rider. Thomas will very probably never win a GT and should therefore focus on the classics (he was fortunate that a mountain stage of Paris-Nice was cancelled). Zakarin was robbed of that stage win in Romandie. Guimard was right about Alaphilippe – could have won a stage of the Tour if he had ridden more sensibly. Why did he waste so much energy on that day out with Tony Martin, for instance? But he looks hugely promising – I hope he doesn’t sacrifice his talents at the altar of trying to become a GT rider. I think Gilbert is a spent force – hope I’m wrong. 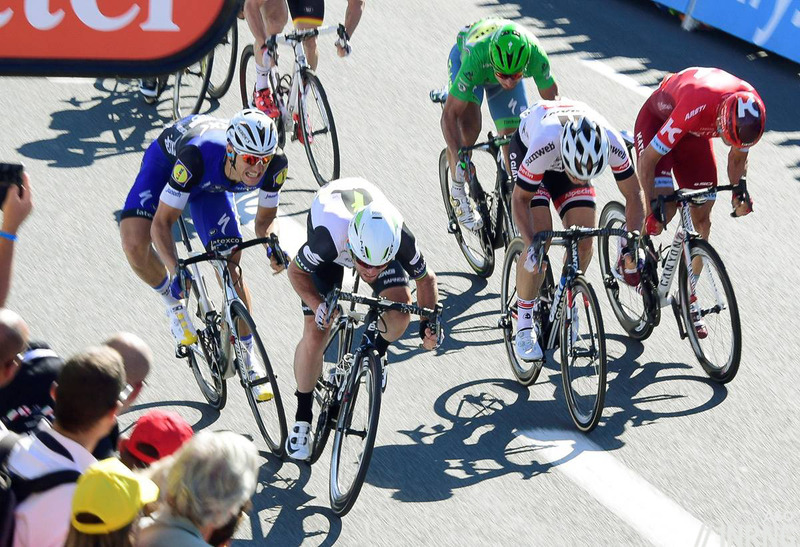 Voeckler’s win over Roche was brilliant – a lesson in tactics (although Roche should know better). Kittel was hugely disappointing (considering his talent) in the Tour. Just scraped one win and never looked up to challenging Cavendish. He’s got to get it back. Kwiatkowski and Landa seemed to fall foul of Sky riders’s oft-seen susceptibility to illness. Combined with other events from this year and Sky riders’s propensity for being rake-thin, one really begins to put two and two together and wonder how much corticosteroid use is going on outside of competition. This is something one wonders about many teams and it is a disgrace that this is still legal. Can the UCI change that rule outwith WADA? I suspect they could if they really wanted to – they could say ‘We will publicise any corticosteroid positives outside of competition, but these will go unpunished’. Or as a bare minimum, adopt the MPCC’s cortisol rule. I was of the same opinion about Landa (that he will do bad in TT), but I had to say that his Giro performance was a -surprising- good one. Only 7″ slower than Nibali, 3 and 4″ faster than Kruijswijk and Valverde, not bad at all (not to mention 1’28” faster than Chavito). He was very well placed in GC indeed, and it leaves a big “what if” hadn’t had to retire from the race. Though, consistency is an issue, can he repeat such a performance next year and in a flatter course as well? Freudian omission it seems. He came good in the Vuelta with a discreet 5th place but the same story applies to him for 2017 all over again. Froome could only wish to have a tan on his legs like that !!! Fixed that now, sorry it was just a clumsy tech issue. +1 on the Landa pic size. As always, thank you Inrng for this great review. Looking forward to enjoying the 2017-season with this blog!